The Chef: If your guy is glued to the tv watching cooking shows he’ll appreciate a Williams-Sonoma Cooking Class. See availability at williams-sonoma.com. Sign him up for a grilling, cooking techniques or specialty menu class, taught in your area by talented chefs and culinary experts . Hopefully, my husband Eric skips today’s post…this is what the kids and I have in store for him. 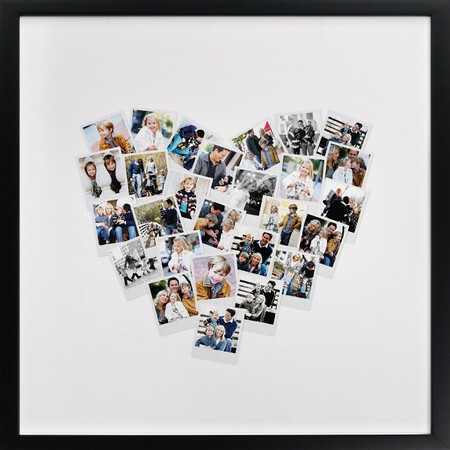 The Sentimentalist: For a one-of-a-kind piece of art that he’ll truly treasure forever, gift him with a personalized museum quality archival pigment print, the Custom Print Collage Heart, from $35 at minted.com. Or, be inspired by this idea and make your own version with a glue stick and the perfect photos. The Metrosexual: If you’ve ever caught your guy using your grooming products, surprise him with his own stash. Aveda Men Pure-Formance Grooming Essentials Kit, $32.50 at aveda.com contains shampoo, conditioner, grooming clay and aftershave, all sized right for travel. He’ll love the rich, spicy, refreshing scent as much as you do. The Wanderer: Win win situation–the Scratch Map, $24 at uncommongoods.com looks cool on the wall and makes it easy for him to keep track of his travels. The Workaholic: If he’s burning the candle at both ends, get him the Hanging Hammock Sky Swing Chair, $84.99 at overstock.com because he more than deserves a little R&R.